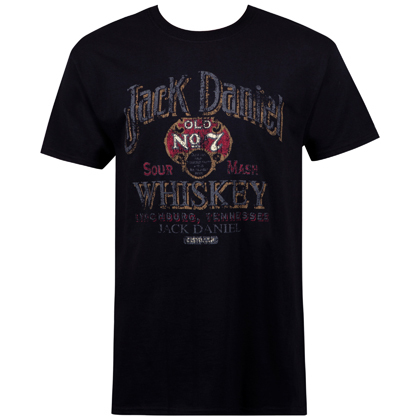 Officially licensed Jack Daniels tshirt. Premium quality men's cut garment. Features iconic vintage style JD design. 100% cotton.